The International English Language Testing System (IELTS) is the world’s most popular English language proficiency test for higher education and global migration. IELTS assesses all of your English skills - reading, writing, listening and speaking and is designed to reflect how you will use English at study, at work and at play, in your new life abroad. The IELTS test is developed by some of the world’s leading experts in language assessment. It has an excellent international reputation and is accepted by on-10,000 organisations worldwide, including schools, universities, employees, immigration authorities and professional bodies. IELTS is the most widely accepted English language test that uses a one-on-one speaking test to assess your English communication skills. This means that you are assessed by having a real-life conversation with a real person. This is the most effective and natural way of testing your English conversation skills. You can take IELTS Academic or IELTS General Training depending on the organisation you are applying to and your plans for the future. 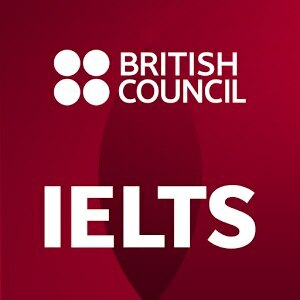 IELTS Academic is for people applying for higher education or professional registration, and IELTS General Training is for those migrating to Australia, Canada and the UK, or applying for secondary education, training, programmes and work experience in an English speaking environment. Both versions provide a valid and accurate assessment of the four language skills - listening, reading, writing and speaking.